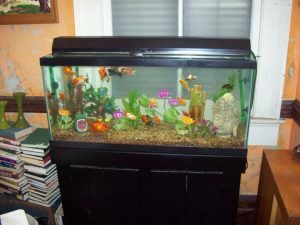 We specialize in custom aquarium installation and special events such as movies and conventions. The Skeleton Key – Starring Kate Hudson: A hospice nurse working at a spooky New Orleans plantation home finds herself entangled in a mystery involving the house’s dark past. Failure to Launch – Starring Matthew McConaughey, Sarah Jessica Parker: A slacker suspects his parents of setting him up with his dream girl so he’ll finally vacate their home. The Butler – Starring John Cusack, Forest Whitaker, Lenny Kravitz: A look at the life of Cecil Gaines who served eight presidents as the White House’s head butler from 1952 to 1986. The Green Lantern – Starring Ryan Reynolds: A pilot is granted an alien ring that bestows him with otherworldly powers, as well as membership into an intergalactic squadron tasked with keeping peace. Father of Invention – Starring Kevin Spacey: After 8 years in prison, inventor Robert Axle struggles to win over his estranged family and catch up on current technology. Oldboy –Starring Josh Brolin, Elizabeth Olsen, & Samuel L. Jackson; Obsessed with vengeance, a man sets out to find out why he was kidnapped and locked into solitary confinement for twenty years without reason. Estimates are available on request. Please call 504 443-1576, or CONTACT US for price quote. I have found Aquatic Specialties to be completely reliable. I will forever be grateful to them for cleaning things up after Katrina with out urging from me. The service personnel at Aquatic Specialties are very knowledgeable and dependable. 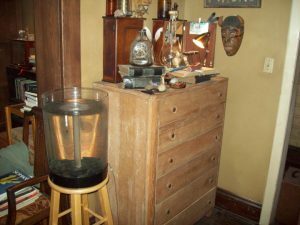 Also, creative in setting up new tanks. We have grown to be dependent on their services for maintaining our tank and in emergencies. Awesome service! Keith always does a wonderful, consistent job! I have owned my aquarium for approximately 10 years, and this is my first salt water aquarium. Chip and the people at Aquatic Specialties were indispensable in helping me set up my tank, choose the right fish for me, and helping to maintain it through all these years. 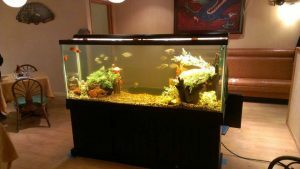 Their professionalism, knowledge and friendliness makes it easy to recommend them to anyone considering an aquarium of any kind. My aquarium has never looked so good since you took it over. I have not lost a fish!! It is such a pleasure to watch the fish and know they are well taken care of. Thanks so much!